As long as she can remember, Thelma has enjoyed drawing and painting with water colour, and using her hands to make things, thinking best with a pencil in her hand. 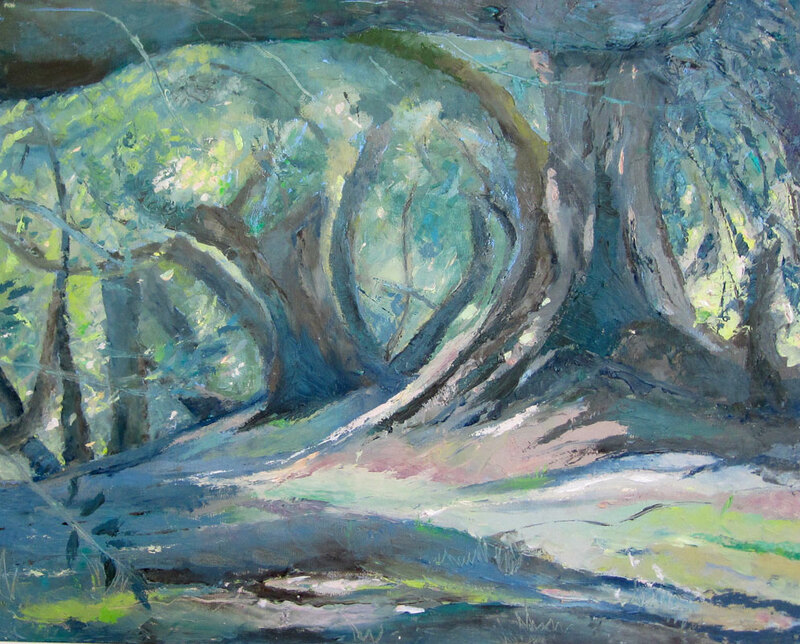 She trained to be a teacher at Goldsmith’s College with Drama as her main subject, but creativity and the visual arts have always been central to her teaching. 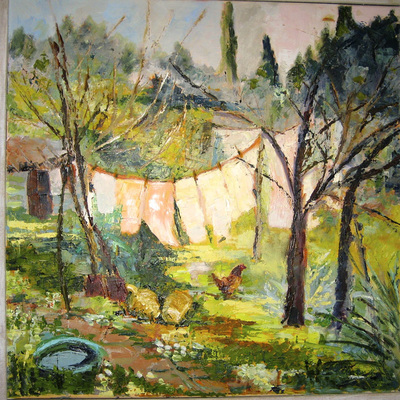 During her long career as an early year’s educator she witnessed and encouraged children’s enjoyment and exploration of paint and colour and shape. And witnessed it’s transformational effect. 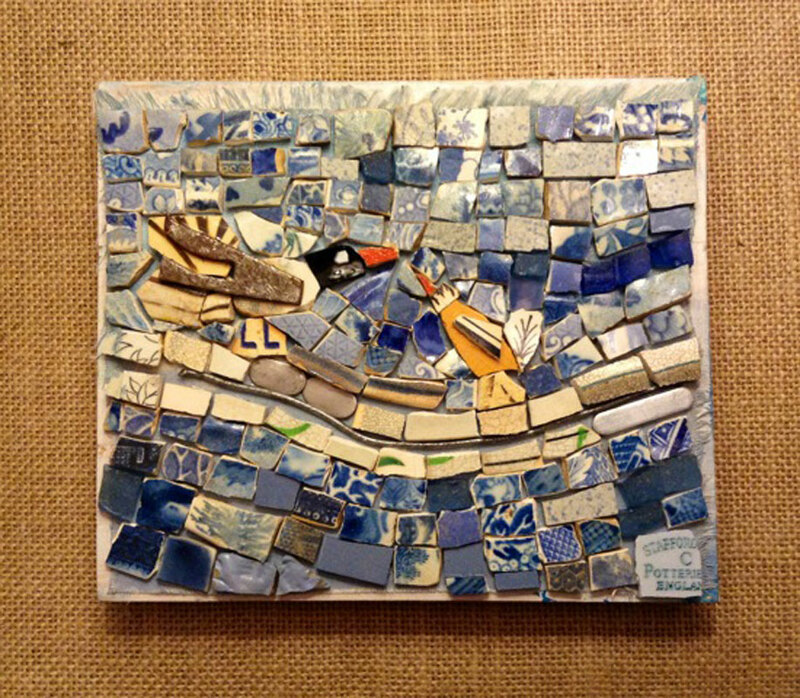 An offer of a sabbatical provided an opportunity to fulfil a dream to study mosaic in Ravenna, Northern Italy, at the atelier of Lucianna Notturni, where she learned how to make mosaic in the classical tradition. 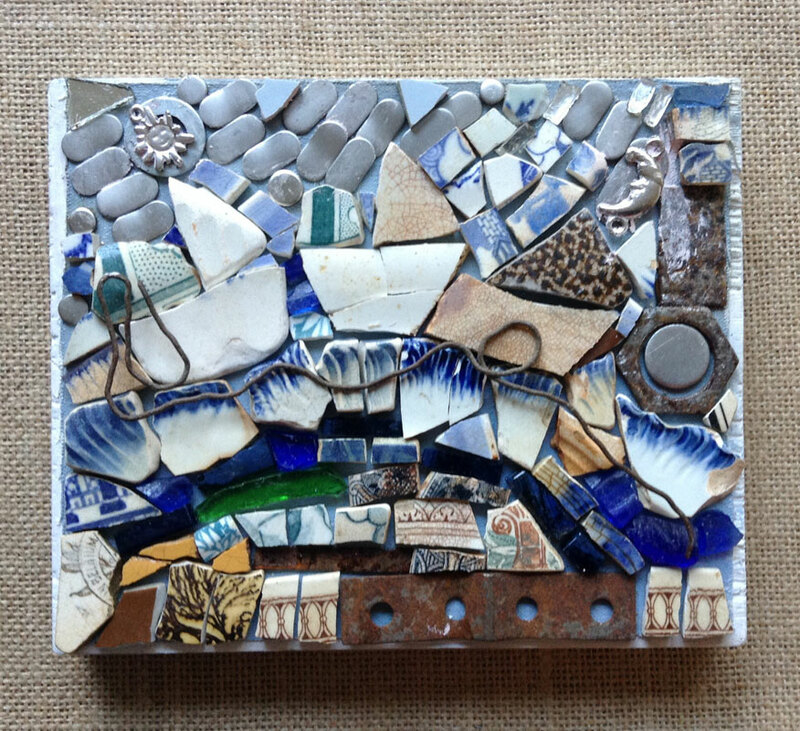 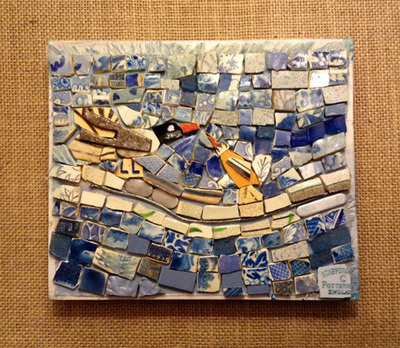 She had previously made mosaic using found objects, and just recently she has been making mosaics with a river theme, as a result of a huge treasure gift of old china bits and pieces found at the Thames edge, from her neighbour who goes rowing! 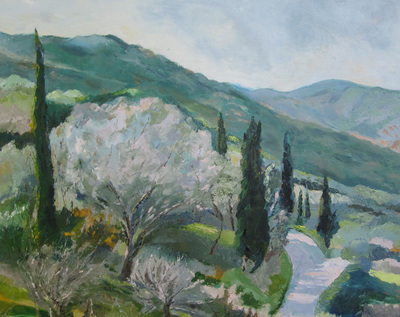 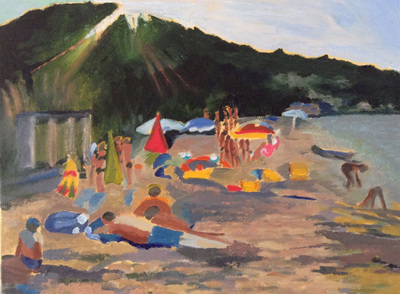 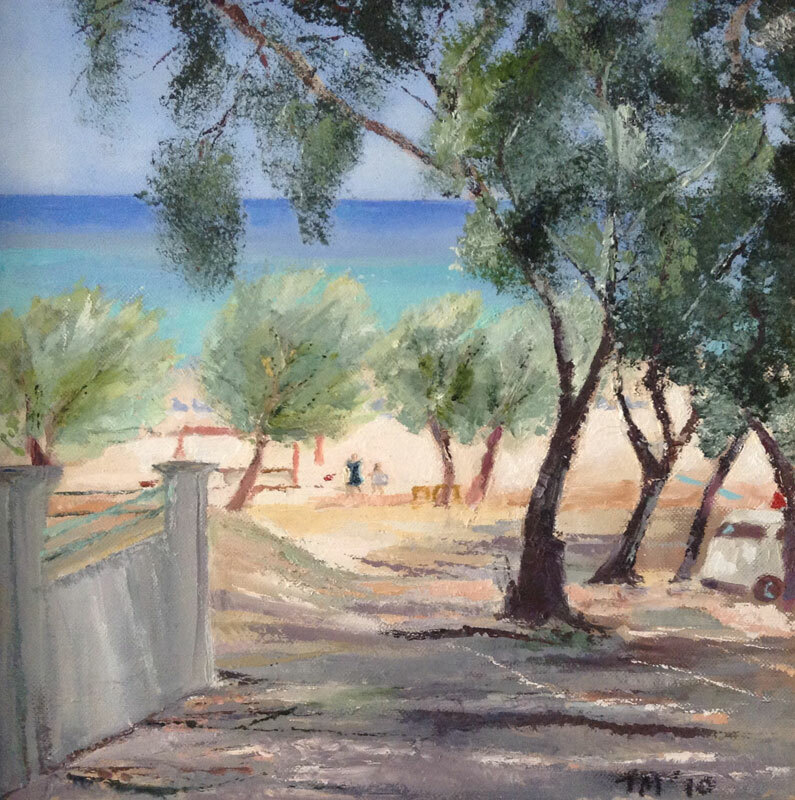 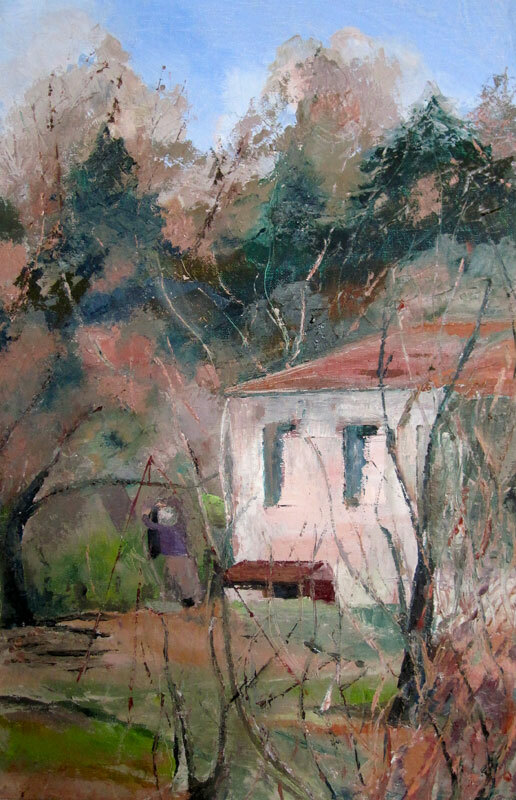 Thelma has a passion for colour and pattern and in recent years has found inspiration in the Greek island of Corfu, where the sea and olive groves, gardens and houses have been the subject of her paintings. 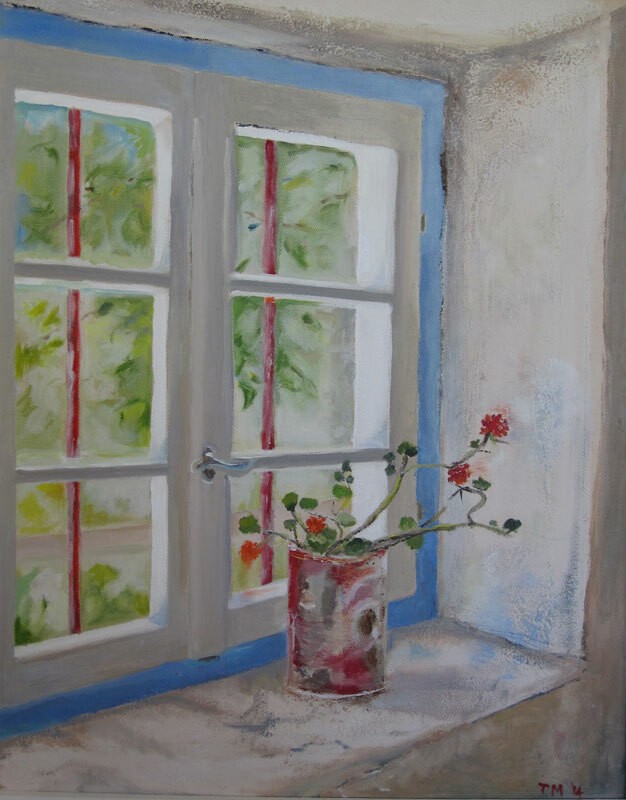 Her recent oil paintings have been created with expert guidance of Annette Johnson, and she is thrilled to be sharing Annette’s studio home space to show her work with the Lee Open Studios for the first time.